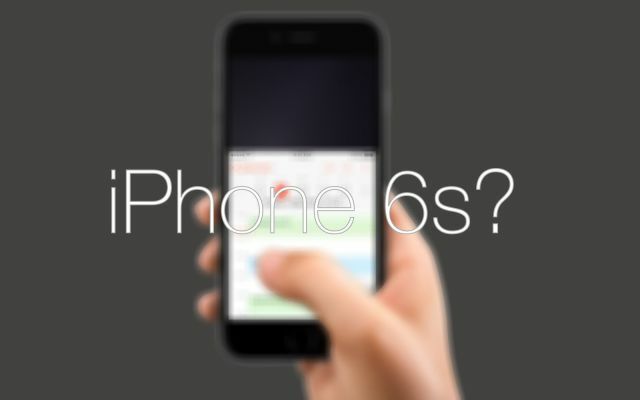 iPhone 6s could be Apple’s biggest ‘incremental’ upgrade of all time. The iPhone 6s and 6s Plus may just be the biggest incremental “s” upgrades Apple has ever done, according to a new report. As per well-connected KGI Securities analyst Ming-Chi Kuo, the iPhone 6s will feature twice the RAM of its predecessors, a significant processor upgrade, better camera, new color option, sapphire display, strengthened shell, improved Touch ID and Force Touch. Just about the only thing that would stay the same, in fact, are the two size options! On the RAM front, today’s report claims the iPhone 6s and 6s Plus will have 2GB of LPDDR4 RAM, compared to the 1 GB LPDDR3 RAM seen in the iPhone 6 and 6 Plus. The main difference between DDR3 and DDR4 are the price and the fact that the latter hits much higher clock speeds than the former. It is also suggested that the iPhone 6s devices will boast Apple’s A9 chipset, 12-megapixel rear-cameras, improved Touch ID for Apple Pay and the same Force Touch technology seen on the Apple Watch and Retina MacBook. Cupertino is said to be planning to market a rose gold color option, again borrowing from the Apple Watch. For those interested in a high-end device, KGI suggests there could be a limited-edition iPhone 6s Plus featuring a sapphire display — something that would serve as a trial run for an innovation Apple had hoped to apply to the entire iPhone 6 range before the collapse of GT Advanced Technologies put paid to those plans. The report denies that a 4-inch iPhone will ship this year, saying Apple will instead stick with 4.7-inch and 5.5-inch versions. This makes sense given that Apple rarely changes the form factor dramatically for “s” releases. KGI’s rundown concludes that Apple is planning mass-production to start in August, predicting sales of 80 million to 90 million this year, and is once again expecting the smaller 6s to be more popular than the phablet 6s Plus. This entry was posted in iRumors and tagged iPhone 6S, iRumorsnow, irumros, Ming-Chi Kuo. Bookmark the permalink. New iPad Pro could be extra sensitive to your touch. Third-Party Apple Watch Cases Provide Options for Improved Protection.